GodCentral Church is committed to building a diverse community that gathers people from different backgrounds, nations, ethnic groups, and stages of life. We are an evangelical and charismatic church of Word and Spirit and are passionate about Jesus and the hope He brings to all. We launched our first public meeting in the Playhouse Theatre, Harlow on the 14th November 2010 and continued to meet there until March 2017 when we moved to Cineworld Cinema before moving again in March 2019 to Pemberley Academy to give us more space to grow, especially with our under 16’s groups. We are continually amazed at what God has, and continues to do whilst we do our best to honour Him and make much of Jesus. We are committed to helping people know Jesus and grow into a relationship with Him; equipping them to go and share the gospel of Christ with the people of Harlow and the rest of the world. We would love you to be a part of that. We hope this information gives you a little bit of a flavour of GodCentral Church but would really encourage you to come along one Sunday for yourself. We have a great team of people who serve within GodCentral. Ben & Clare founded GodCentral Church in 2009 with a desire to see God transform lives. They got married in 2004 and have two daughters Amelia & Anna and in addition to serving GodCentral Church both work in education. As a family they enjoy exploring the outdoors, in particular the Lake District in the North West of England. In their spare time Ben is a keen runner and cyclist whilst Clare enjoys time with family and friends. Ben & Niki are married and have two children, Jasmine & Josiah. They have served in a number of churches both here in the UK and in Niki’s home country of South Africa. Music plays a big part in their lives and amongst other things they are involved in the praise & worship at GodCentral. Niki is a keen artist and enjoys painting. Ben loves all things coffee and is perfecting the art of roasting his own beans. 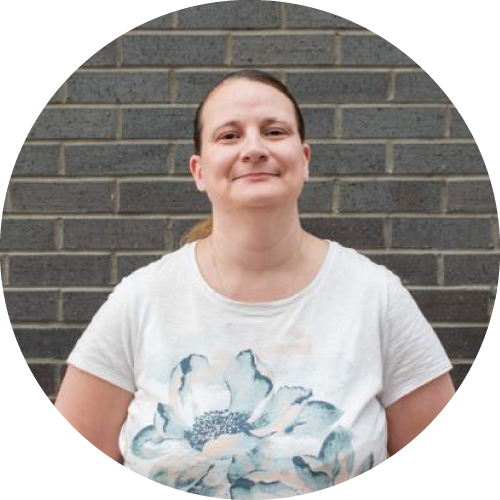 A Chartered Accountant by trade, Luisa came to faith at the end of 2009 and joined what became GodCentral Church in early 2010. Luisa serves the church family as part of the Trustees, Preach and AudioVisual teams. Luisa enjoys reading, computer games, cross stitch, walking and spending time with friends and family. Diane gave her heart to the Lord at age 13 through her youth group. She was baptised at 15 and had a feeling that God was calling her into children's work so from the age of 20 she has been teaching children about God in the churches she has been involved in. Diane is married to David and together over the years they have been to Kenya and Bulgaria to serve God. James and Holly were called to Harlow as newly weds and are privileged to have been with GodCentral from day one. They have 3 amazing children (with unusual names!) and a loving cat! They are a family of musicians and dancers, and love to use their gifts both on stage and at church. Their heart is for people, no matter who they are, or where they’re from. Jim left school at 18 and went straight into banking, where he stayed for 38 years until taking early retirement in 2015. He suffered with mental health issues for 25 years but came to the Lord in 2014, and is now passionate about helping others avoid his mistakes. He loves most sports, especially football, cricket and NFL - he gave up playing cricket a few years ago but is still a keen golfer. He did stand-up comedy for three years and likes to think he’s still occasionally funny! Jim heads up our Pastoral Team and is passionate about evangelism. 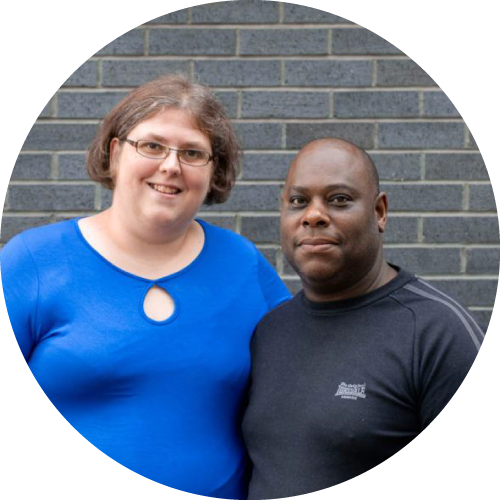 Mark & Bethan have been with GodCentral church since 2011. Currently, they help lead one of our mid-week Community Groups. They are parents to two children; Bella and Joshua. Mark is a YouTube content creator with a passion for all things technology related. Bethan is almost certainly drinking coffee right now whilst planning out her next creative project. Rob & Eleanor are the Youth leaders at GodCentral Church. They have been married since 2012. Rob was born in Harlow and is a keen fisherman. He works in corporate security and business continuity. Eleanor was born in Zimbabwe. She is a practising lawyer and loves travelling, swimming, music, food and films. Alpha is a series of sessions exploring the Christian faith. Each talk looks at a different question around faith and is designed to create conversation. Alpha is run all around the globe, and everyone is welcome. It runs in cafés, churches, universities, homes – you name it. No two Alphas look the same, but generally they have three key things in common: food, a talk and good conversation. We are part of Relational Mission and also work closely with Jubilee Church, London. Both are part of the Newfrontiers global family of churches. We are also committed to partner with other evangelical churches in and around Harlow. God Central Church, Harlow is a registered charity, number: 1144715. Registered charity address: 56 Old Road, Harlow, Essex, CM17 0HD.